Want to be a Life Insurance Agent? If you are considering getting into a new career and want to be a life insurance agent, then read on. I was and I failed. If you happen to have other career options and they include a descent salary, take that job instead. You will be glad you did. The biggest reason most people are attracted to becoming a life insurance sales agent is because of the big commissions. Nobody wakes up one morning and says, you know what I thing I want to sell life insurance. The truth is people find out or get recruited by other people and discover this sales opportunity and how “potentially” lucrative it can be. Lets look at a common life insurance commission example. 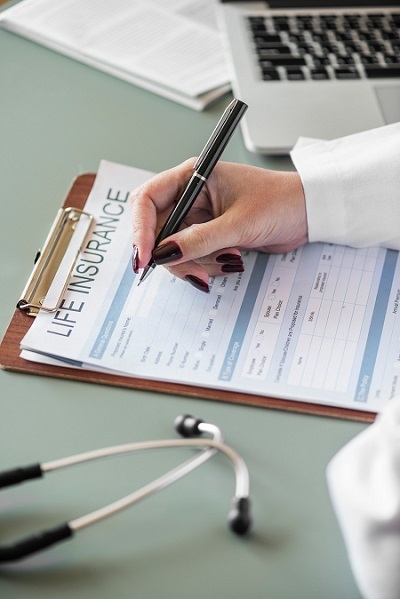 Lets say the annual premium for the life insurance policy is $700 and this could easily be the case for a final expense or term life policy. If the new insurance agent gets a 100% commission rate, then the agent will get all of the $700 (in this case scenario) annual premium for the policy. 2nd year and beyond, maybe 3% there after, generally. The life insurance sales commission can be paid to the sales agent 1 time after the policy is a proved or the commission can be paid out monthly as the insured makes their monthly payment. The latter is the safe way to do it and keep your self out of trouble. What trouble you ask? What if the sales agent is advanced the annual premium and the insured stops paying after month six? The the life insurance sales agent would owe the life insurance company the difference of $350. And you would be amazed at how many people cancel their policy months after taking it out! In this business most insurance companies wont advance the full 12 months of premium payments. Many limit it to 9 months. However when the agent signs up and contracts with the company, they will have the option to get paid on commissions month to month or take a 6 month or 9 month advance. So while the safe way to do this is to get paid as earned month to month, many choose the 9 month advance method because they got bills to pay. the “paid as earn’ method is a small amount of money when you first start working in this business. But for now, as a newbie to the business, life insurance sales commissions and worrying about clients cancelling their policy is not a worry or concern yet. There is a bigger problem to be concerned about and why they say 90% of the people who start and work in this business fail within a year or two. Life Insurance Agents Need Customers! You need to find people who need a life insurance policy and are willing to pay the monthly premium. What I discover is that people kind of know (some don’t amazingly) that they should have a life insurance policy in force if they have dependents or want to pas on a financial legacy to their kids. The dads that I talked to know they need it but don’t want to pay for it, because they will never see the money. Or they will buy it and after a year or 2 will cancel it and settle for the X2 salary group life insurance from work. Those group life insurance policies are not transferable and coverage is lost when the job is lost. Yet they still take the risk. Idiots. GoFundMe is no the go to source to help pay for funerals, but I am noticing more people NOT wanting to give money for this cause. I guess they are getting tired of it. Lets take a break for a moment… If you got kids or a spouse, purchase an individual policy. They are affordable. If you decide that you are not going to buy one of these, then tell your spouse your decision. Good luck with that! It’s expensive and it has to be done. You can pay and mail post cards or flyers and maybe get a 1% response rate. You can try to learn how to use facebook ads and spend money to reach moms and dads in your area with an ad that hopefully pulls a response. Whatever advertising you use will need to be reviewed by your companies legal compliance department. Each state has advertising guidelines, if they are not met, an agent could get fined thousands of dollars! These are known as enforcement actions. The fines are really big. $5,000 is common. The marketing materials supplied by the company sucked really bad and I was afraid to use my own stuff. This is when I started losing interest in this field. Door knocking. You could get a local solicitors permit and knock on doors to sell this stuff if you got the balls to do it and want to do that 3 to 4 days a week. You can try to sell to your social circle, friends and family, but the source will dry up quickly, plus since the life insurance application will Want To Know Everything about them, they may not want you to know that information. This product has to be sold. You have to reach out to them. You need to be the one to start the conversation. The hard part will be demonstrating the need, convincing them to buy it and hoping they don’t cancel later after buyers remorse sets in. If someone told you their making great money selling this stuff, ask them how long are policies staying on the books and find out what their doing to find customers. If you are introverted, lack enthusiasm, autistic or lazy, then this business is not for you. If your an extrovert, love talking to people, have a bankroll for advertising then the only way to know if this life insurance sales career is for you is to give it a go. Try it part time while you still have a paying job might be the safer option to test the waters in for this career occupation. This does requiring licensing by your state’s department of insurance. There are online course to meet the requirements of getting licensed. Additional fees will also need to be paid for a background check and testing. I am in Texas and the total amount paid was less than $500. It took 2 months and several hours a day preparing for the exam though, there is a lot to learn. You can using this link which opens in a new tab to discover more about insurance careers. This is a forum and these guys work in the business and help new people. No response yet on Want to be a Life Insurance Agent?